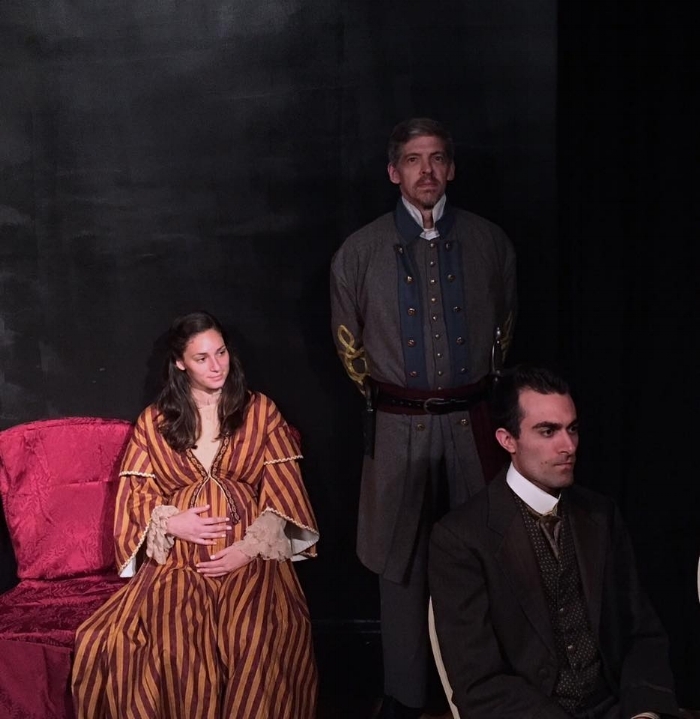 "Manhattan Repertory Theatre is is a great way to see your play realized. Ken is passionate about your play, and handles it with care as if it were his own. Talented creative direction coupled with first rate New York actors and your play comes to life. It’s an amazing experience!" Michael Terence O’Brien, The Curb. HOW TO SELF PRODUCE YOUR PLAY WITHOUT DOING ALL THE WORK! Take responsibility for getting your work out into the world. Self-Produce your play without the hassle & work of Self Producing! We will do it for you, and we will do it beautifully! So here is the big news! In June 2017 we produced THE BIGOT by Gabi Mor and Eva Mor and after our production, The Bigot went on to play in 5 theatres across the country last year and this APRIL it is returning to New York City as an OFF BROADWAY SHOW featuring Broadway actor Stephen Payne as THE BIGOT! We are thrilled for Gabi and Eva!!! Bravo!!! And it all started here! ﻿"Under the guidance of Artistic Director Ken Wolf, Manhattan Repertory Theatre's innovative program whereby they fully produce your play is a godsend to every playwright. Take it from someone who has used the service. One of my manuscripts was languishing in my desk drawer destined never to become a “play” because I found it overwhelming and much too costly to have it produced. And then I came upon the MRT’s program designed to fully produce your play in NY. Being from out of state there was no convenient mechanism to select a New York director, hold auditions, rent rehearsal space, coordinate rehearsal schedules, hire a technician to control the light and sound requirements nor could I rent a theater for the ultimate production. The MRT production program overcame all that. For a very modest fee, Ken Wolf took my manuscript and brought it to life. I was impressed with his attention to detail and the fact that he engaged and consulted with me throughout the process in a most collegial way. And to think that this it can be done for a play submitted from any where in the world. Our play ran for 27 minutes and used three pieces of music, four sound effects and several lighting adjustments and I could not have been happier with the outcome. I strongly recommend that any playwright whose work is gathering dust in their “never to be seen” file, to do yourself a favor and experience the joy of seeing your play produced. "This production was skillfully done, the simplistic style being exactly what Medicine needed." TO LISTEN TO KEN WOLF, Artistic Director, Manhattan Rep talk about what our Play Production Program has done for playwrights - click below! "Having had my play "THE INAUGERATION" produced and directed by Ken WOLF of MANHATTAN REPERTORY THEATRE in 2017 was one of the single greatest moments in my life! Seeing my play produced on stage in the TIMES SQUARE THEATRE DISTRICT with such high caliber performers was a dream come true for me! I am still over the moon with the professional quality of MANHATTAN REPERTORY THEATRE in the production of my play that will stay with me always and to which I will be forever grateful. THANK YOU MANHATTAN REPERTORY THEATRE!!" Since being brought to life as part of our Play Production Program THE BIGOT by Gabi Mor and Eva Mor has been picked up by FIVE different regional theatres for productions through 2018! AND NOW, WE JUST HEARD IT IS RETURNING TO NYC THIS APRIL AND IS BEING PRESENTED OFF-BROADWAY! "Without exception, Manhattan Repertory is a treasure to the theater world, selfishly devoted to bringing entertaining and thought provoking work for the benefit of a discerning public. I will never forget the thoughtful and imaginative treatment of my play done professionally. You have my thanks and support for the excellent work you do...with your productions as their own reward. Without hesitation I would recommend Manhattan Repertory to any writer to have their plays produced. 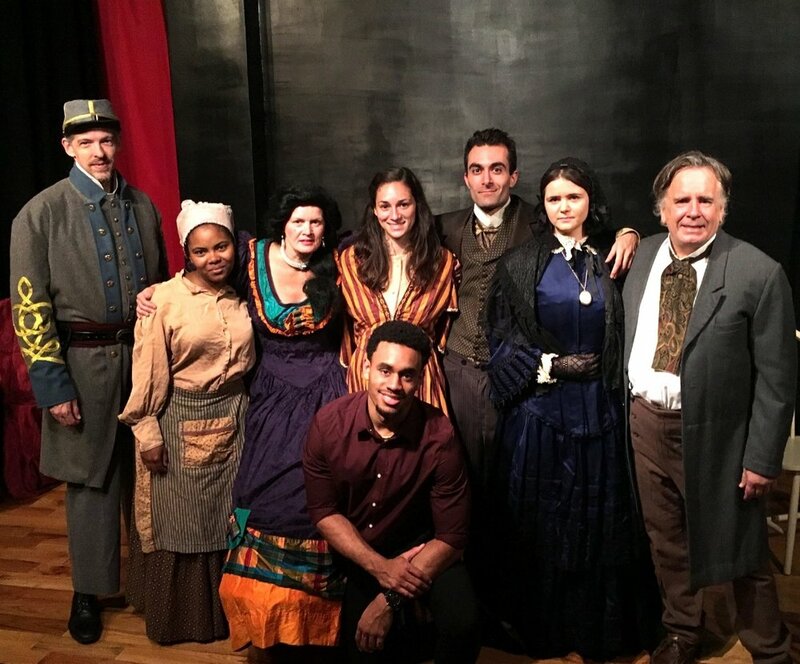 "Manhattan Repertory Theatre treated my play with the utmost respect and professionalism. I couldn't have asked for a better cast, a better director, or a better theater for my very first play. Everyone was a delight to work with and I look forward to working with them again with my future plays." Recent MRT Play Production: " The P.T.A. Are All Cannibals"
"This is my most positive experience as a continuing playwright at Manhattan Repertory Theatre because I just let go of all artistic control. Ken Wolf takes out all of the stress of production: casting, rehearsing, stage design, costuming. I am totally sold on just being a playwright and allowing the producer (Ken) just to take care." Gloria Craig - Playwright - "The King's Ring"
We have been making it possible for anyone with a good play, and for an extremely reasonable production fee, to have their play produced at Manhattan Rep. We supply the director, the cast, the rehearsal space, set and props, and we bring your play to life in Midtown Manhattan where one can invite friends, family, producers and literary agents to come and see it. We have produced over 50 plays as part of this new Program from playwrights across the country and around the World! July 2019 - November 2019 for Full-Length Plays! Production fees based on the plays requirements. Production fees run between $895 and $2500.00 depending upon the play requirements and length of the play. Short play Productions are usually 2 performances but we can add performances for additional fees. We are only seeking serious Playwright/Producers for this program. Check out some Play Production program pictures below! Submit your play if you are interested and able to participate, and we will put together a Budget/Fee for your Short play or Full-Length play to be fully produced at Manhattan Rep in Midtown Manhattan. and your contact phone number. Please put "Play Production Program" in the subject heading. We will get back to you in a day or so as to your acceptance to this program. Here is a sound clip of the talkback of Past Perfect by Rita Lewis from October 15, 2017 which will illustrates the quality and the passion of the work we do here! Geoffrey Grady, Ashley Taylor Greaves, Gerry Glennon, Jahmeel Khan-Poulson, Michelle Morocco, Alan Homeri, Chelsea Clark, and Danny McWilliams!